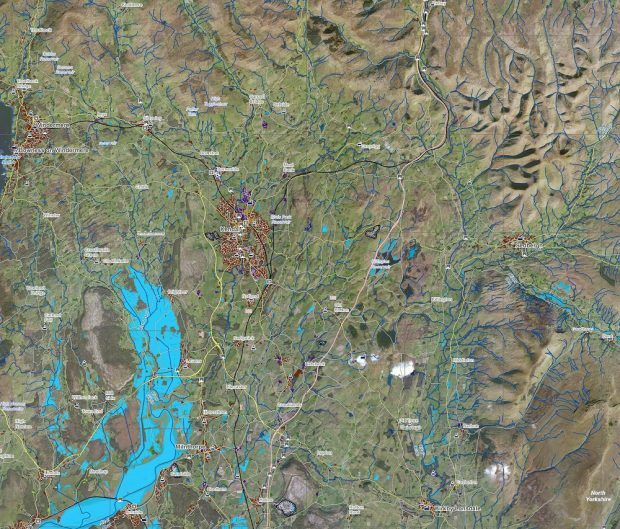 Data and smart ways of working should be at the heart of everything government does, which is why Defra is working with experts in the field to realise the potential of Earth observation data. Earth observation promises to be a valuable tool in increasing the effectiveness and efficiency of decisions in a multitude of environmental (and other) fields including: crop health, forestry, flood management, habitat condition and extent, water quality and coastal management. The Earth Observations Centre of Excellence is a collaborative group of Defra organisations and external partners, including the Devolved Administrations and the UK Space Agency’s Space for Smarter Government Programme (SSGP). The Earth Observations Centre of Excellence acts as an intelligent customer within Defra and interface with those experts outside. Why have an Earth observations Centre of Excellence? In December 2015 Defra, working with SSGP, published its Roadmap for the Use of Earth Observation, which set out the goals and milestones for achieving Defra’s vision for earth observation use within the Department: ‘to ensure satellite data are playing to their full potential in policy development and operations across Defra by 2020’. The Earth Observations Centre of Excellence has been set up to realise this vision. What does the Centre of Excellence actually do? The Earth Observations Centre of Excellence is primarily interested in the potential of remote sensing data from satellites and, where relevant, other aerial vehicles (planes and drones). It explores how this data complements existing geospatial datasets, as well as tools and applications, to deliver policy and services. Since its inception at the end of 2015, the Earth Observations Centre of Excellence has focused on determining its own future work and priorities, its organisational structure, and establishing new ways of working to deliver its goals. Key projects have been initiated, and we have already realised the values of those new ways of working. During the severe weather of December 2015, record-breaking rainfall caused widespread flooding, with many rivers seeing their highest levels ever recorded and communities impacted greatly. The Earth Observations Centre of Excellence facilitated better involvement and communication across departments. The Environment Agency and Rural Payments Agency were able to quickly share flood estimates of non-urban areas using radar (SAR) satellite systems, meeting both Agencies’ responsibilities during the flooding events. A project entitled the Earth Observation Data Integration Pilot (EO DIP) is undertaking research and development in a number of application areas where priorities to achieve savings have been identified; establishing how three land-based products are shared across applications, resulting in additional streamlining and economies of scale; and addressing how best to organise supply of data and products as a test of the Defra GI strategy.